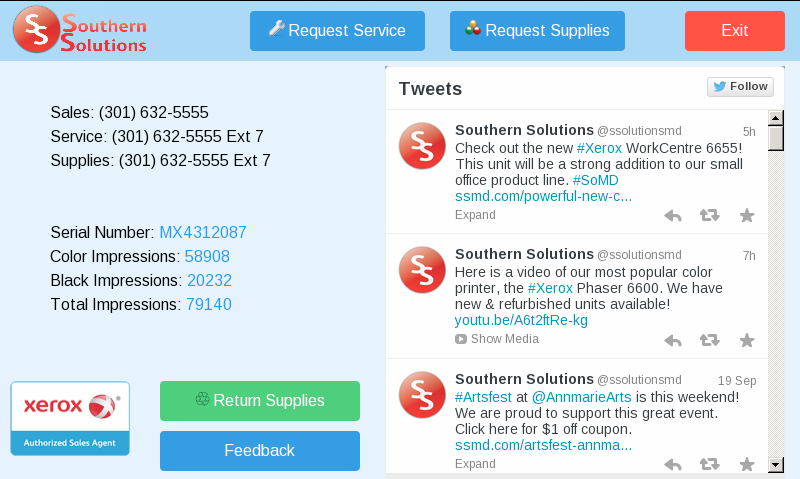 Southern Solutions recently launched version 1.5 of our Contact Us App for Xerox ConnectKey devices that will enhance communication with our customers and simplify the service & supplies process. With the move to version 1.5, we are now on a platform that will allow us to add additional functionality more easily in the future. The Contact Us App allows customers to request service, request supplies, request return of supplies and provide feedback right from the Xerox ConnectKey device. The app also allows the partner to communicate in real-time with their customers. In this Information Age, customers are looking for ways to more easily communicate with their business partners and that is exactly what this app provides. 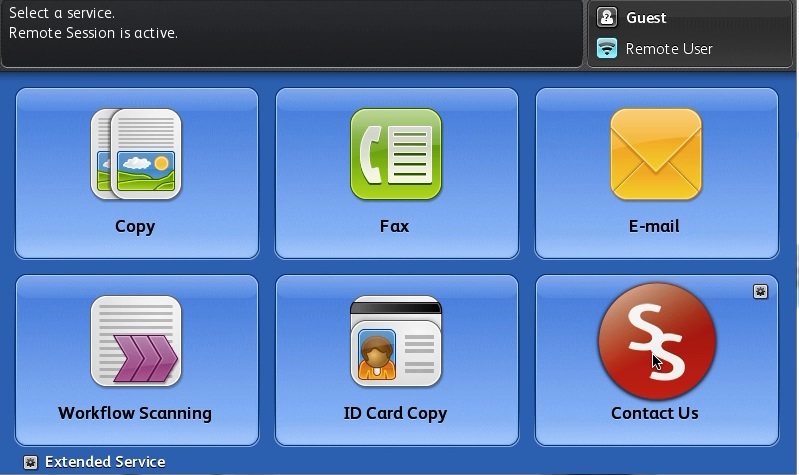 Southern Solutions is offering the Contact Us App to Xerox partners for a monthly charge. We will customize the app for your company and provide ongoing support. The app is simple to install (because we built an app loaded), simple to manage and simple to update or change information. For more information, please contact Joshua by email or phone at 301-632-5555.